I put these on everything. Tacos. Pizza. More tacos. More pizza. There are more options, but these are my two favorites. White people like to put these on crackers with cream cheese. It's actually delicious. But honestly, why eat crackers when you can have tacos or pizza? There are a lot of recipes for candied jalapeños out there, most of them are pretty similar, I've tweaked mine just a bit and am pretty happy with the results. Most recipes I've seen for these start with two pounds of jalapeños. That's cute. Start with four. Since they need to sit for four weeks, it's nice to have a backup jar waiting for you in the pantry while you make a new batch. Or, like the Meyer lemon preserves, they make great gifts. But only give these to friends you're really fond of, because once your start they will keep asking for more. You're not just making topping, your starting a tradition, so be aware. Another reason to do this is because jalapeños are stupid cheap. I get mine at El Rancho Supermercado and they are usually $0.88 a pound so we're talking about less than $4 here. But that's enough talking, let's make these bad boys. Recipe and instructions below. 1) Prepare your jars for canning. 2) Slice your jalapeños into about 1/4 inch slices and set aside, discarding the steams and tips. Ignore the seeds. They seeds don't make them spicy, that's a myth, it's the membrane that holds the spice and we're leaving that on. You can handle it, don't worry. 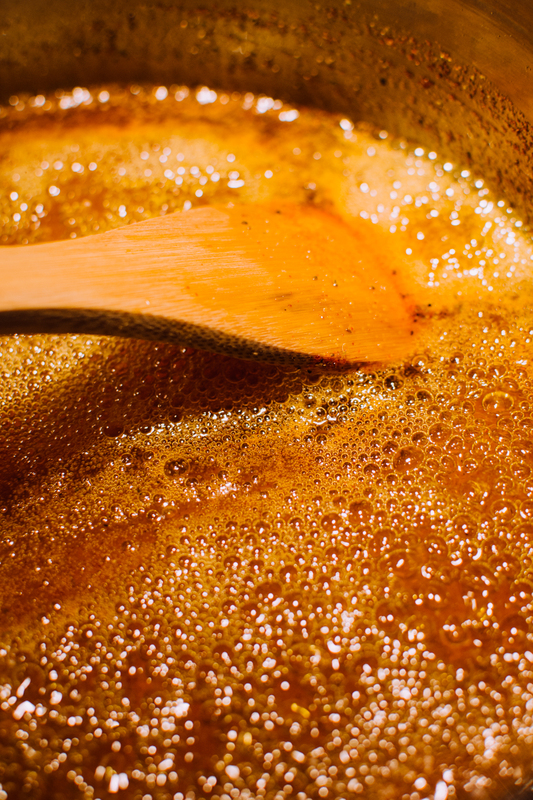 3) Put your sugar and cider vinegar into a stock pot over medium-high heat. Once the sugar has dissolved, add your spices. Bring your liquid to a boil and then turn down the heat and let it simmer for about 5 minutes. 4) Add your jalapeños and turn the heat back up. When it comes back to a boil, let them cook for a few minutes until they turn a nice army green color, about 5 minutes or so. 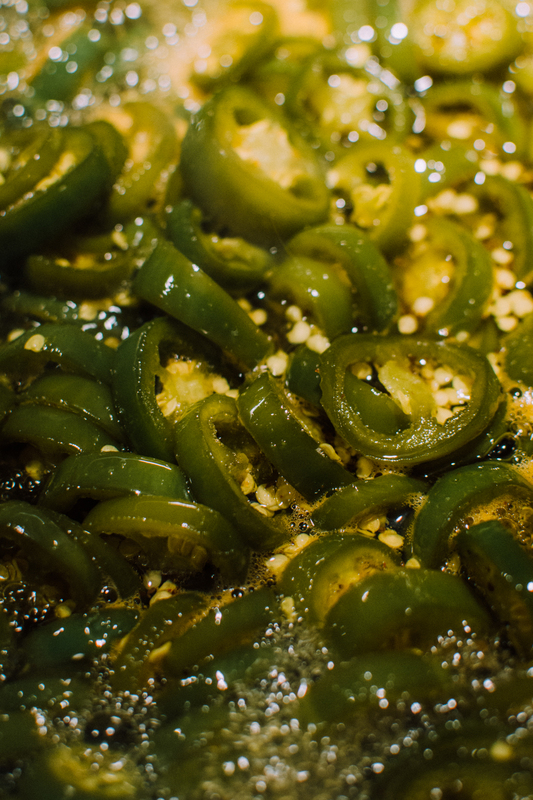 5) Remove the jalapeños with a strainer or a slotted spoon and place them in the prepared jars. Let the remaining syrup boil for about 5 minutes (if you think you won't have enough syrup to cover all your jalapeños, add some water and let it boil for a few more minutes). 6) Ladle the syrup over the jalapeños and seal the jar. 7) WAIT at least 4 weeks, then enjoy! After you open them you can keep them in the fridge for months (if you don't eat them all in a day, that is). Serve with tacos, pizza, crackers, or just eat them out of the jar.